We will not tattoo you if you are not 18. Pease bring your ID or you will not be able to get a tattoo. If you miss an appointment, we will charge you $50 no matter how small your job is. We reserve the right to refuse anyone. Established in 2002, we are a full service street shop specializing in all forms of tattooing and body piercing. 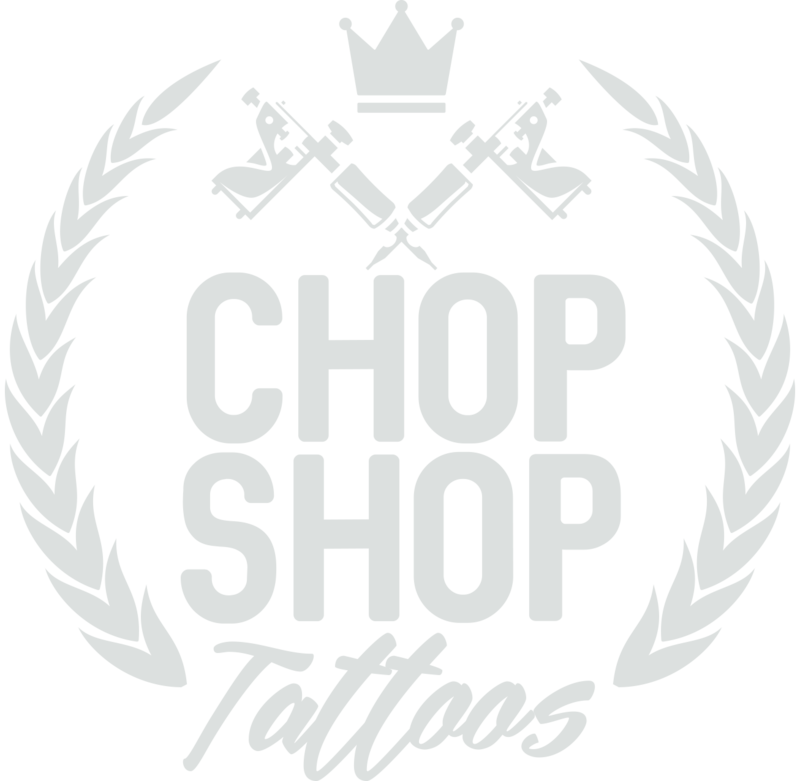 Chop Shop Tattoos and Piercings and all artists are permitted and we proudly display our sterilization certificate. We are open Tue- Sat 11AM – 10PM. We take appointments Tues- Thurs & walk-ins only Fri & Sat. We accept Visa, Mastercard, Debit and of course Cold Hard Cash. We also have gift certificates available all year round. Coming by our shop following the directions here.